The Board of Intermediate and Secondary Education Sargodha have all rights reserved to provide the best and on time educational services for all the students of Sargodha District, Khushab, Mianwali, and Bhakkar for both Intermediate and Secondary School level. 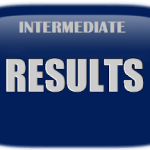 The Board of Intermediate and Secondary Education Sargodha will provide your result exactly on given date and time. So students now its time for the result of FA, FSc, Inter, ICOM and ICS result 2015, which should be here exactly on given date and time on 12th September 2015 on Saturday at 10:10 AM.